Here are some select upcoming fun Texas events near you - carnivals, festivals, music concerts, rodeos, chili cookoffs, and more - to get on your calendar. These Texas festivals and events are typically multi-day events with lots of fun things to keep you and the kids entertained. Keep coming back because on a weekly and monthly basis we add new Texas carnivals, rodeos, music festivals, and more to the calendar. Have fun! If you know of an event that you think we should add to the Texas Events Calendar or if you are planning an event you would like to have included on the upcoming events calendar, send us an email. This festival is the oldest outdoor historical festival in the south. Enjoy the live bluegrass, gospel, and country music, trail rides, parade, rodeo, play and fireworks. If you enjoy great Texas country music concerts, CPRA rodeos, and carnivals then this 10 day event is for you. This North Texas festival offers a growing roster of talented chefs, craft brewers, and winners with a wide range of tastes, styles and methods. For 20 years fiddlers have been coming to Llano to enjo the fiddle concer, fiddle tricks, and a fiddle contest. This festival is set back in the time of King Henry VII offers arts, crafts, vendors, food, and entertainment. The U.S. Air Force Thunderbirds entertain with a military jet tearm, warbirds, wing walkers, a stellar performer line up, and nonstop aviation action in the air and on the ground. This festival has brought the best of Roots & Americana music since 1987, camping with plenty of trees, unique hand crafted items for sale, kids activities, and food and drinks. This 34th annual festival celebrates the sights, sounds, and tastes of the highest ranking arts festival in Texas. This 27 block area features 223 artist from across the US, chart topping entertainers, Texas food, and arts and crafts activities. This 32nd annual parade has more than 250 moving works of art with entries from 23 states, Mexico, and Canada. Enjoy food and art tours, silent auctions, plant sales, shopping, live entertainment, karaoke, dancing, a 5K, yoga, painting classes, wine and chocolate pairings, self defense classes, taco and tequila experience, and mixology classes. This is a celebration of the Texas state flower. Featured activities include live music, kids' carnivals, beer gardens, and the annual wiener dog race through Burnet's Historic Square. This is a celebration of the history of the many cultural groups that settled Texas. Games, music, dance, and demonstrations are reminiscent of life in the late 1800s. Demonstrations are ongoing throughout the day and include beekeeping, raising chickens, gardening, candle making and more. Life in early Texas is demonstrated by costumed interpreters with chuckwagon champion Donnie Demoin demonstrating how cowboys were fed on the trail. lost of hands on kids activities from the 19th century. There has been a BIG bunny sighting in Texas, and this ain't just anybunny, it's somebunny really special! The Easter Egg Express offers the whole family a fun time. This is an award winning treasure hunt which began in 1999 as a sidewalk sale. This sale covers 30 miles and 7 town and places in between. 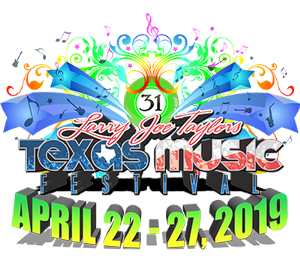 If you have never been to one of LJT's festivals then you are missing out on a very fun experience and you need to make plans to attend this his 31st. You will enjoy some of the best singer/songwriters in Texas as well as some new up and coming talent. Don't miss this event!! At this festival you have the option for a guided birding field trip to regional birding hot spots, wading spots, and private ranches. Also you can enjoy birding photography workshops. The fun begins with the best Fidders from Texas and across the country competing for over $20,000 in prize money. It starts with a Jam Session, Cajun Fun night, Freshman and Senior Division featuring some very talented fiddlers from all ages, another barbecue cook-off with live music, food, arts and crafts and more. Ending with the announcement of the Texas State Champion Fiddler. This festival provides live music, contemporary art installations, local arts group performances, a makers market, chalk art, and kid zone. While you can stroll downtown Granbury with your favorite merlot in hand any day, only during the Granbury Wine Walk can you sample as many as fifteen wines. And if you like one, purchase a glass or bottle. The tenth annual Granbury Wine Walk is the place to experience the authentic character of Texas through its wine, food, music and art. This Festival provides Fresh Live Maine Lobster and dance away the calories to a variety of popular artists throughout the day. Enjoy tasty eats in the food court, take a Free Souvenir E-Photo, check out the Arts & Crafts booths, midway games and carnival rides, and sip on adult beverages (beer, wine, specialty drinks. There is something for everyone, including kids, Magic Show Face Painting, Inflatable Bounces, Kid Rides and Games. This is a large master sand sculpting competition for family fun. There will be 18 world class master sculptors creating sand masterpieces. There will also be amateur contests and lessons for those who want to participate. There are 7 stages and 3,000 performers to perform the best in jazz, pop, rhythm and blues. This premier music festival is in its 3rd year and has become the premier music festival in North Texas with celebration of music, art, and culture. This festival takes place along the Trinity River in the 33-acre Trinity Park, with live music, carnival rides, a petting zoo, performing arts, top-notch food and beverage, rock climbing, shopping, and more. There will be 40 bands performing on three stages, along with more than 40 performing groups on four additional stages. Texas State Railroad offers school groups a fun and educational outing to view this rare example of railroad technology demonstrates how a steam locomotive was turned around, using only compressed air, over 130 years ago. After a year hiatus Off the Rails 2019 lineup is scheduled and includes Luke Bryan, Jake Owen, Sam Hunt, the Eli Young Band, Aaron Watson, and Lauren Alaina, and that's just for starters. This is a must!!! 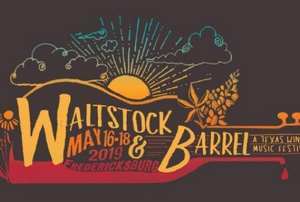 Not only do you get to enjoy some of the best Texas singer/songwriters perform in the beautiful hill country setting of Fredericksburg, but you will enjoy the good vibrations created by the host and hostess, the Wilkins, at this family friendly event. With 70,000 people in attendence at the small community in a local park. It got its name from the March through May celebration season when wildflowers blossom throughout the city. Wildflower! is now a three-day event that has grown to become one of North Texas' most recognized and anticipated music festivals. This festival will feature a craft brew experience with 75 craft brews, premium Texas wines, live music and entertainment, delicious food, artisans, midway games, and a kidzone. Each year, Huntsville's Sam Houston Memorial Museum and Homestead is transformed into an old town frontier settlement, complete with historical reenactments and demonstrators. Talk with historical characters and artisans in period clothing as they walk the home of Sam Houston and his family. Vintage steam locomotives are the time machines that take you through the celebrated Piney Woods, transitioning you to a period when steam was king and diesel power was in its infancy. Swim, float & relax on Cypress Creek while listening to live music with your family & friends! Every Memorial Weekend they bring some of the best live music around, great munchies & some wonderful vendors to meet and shop with! $1 of every ticket sold will be donated to Hill Country Conservancy Non Profit Organization! TMR is one of the most gregerious and prolific songwriter you will ever meet and it is apparent throughout this fun music festival. Don't miss seeing all the great Texas singer/songwriters at this 12 annual festival in the wonderful hill country town of Luckenbach. This is the nation's largest biker event of its kind. The rally often referred to as ROT is held every June and 50 blocks in Austin are closed off for the rally as well as live music is held at the Travis County Expo Center.